Put simply, it doesn’t hurt to have a good relationship with your state Medicaid agency. As most hospitals know, not all states are alike when it comes to billing for 340B medications. Each state’s Medicaid agency has different rules and procedures covering a variety of topics, such as modifiers, drug costs, dispensing fees, FFS vs. MCO, mandatory carve-in status, etc. Because these requirements come from a variety of areas— including regulations, formal notices, FAQs, unpublished policies, historical practices, and other non-standard rulemaking processes—they are often hard to locate and identify. Failure to follow Medicaid billing requirements could lead to prohibited duplicate discounts which then result in HRSA findings, self-reporting, manufacturer inquiries, or, potentially, removal from the 340B Program. Therefore, it is essential to understand and follow the 340B requirements for every state where your hospital submits Medicaid claims in order to ensure compliance. Fortunately, there are several standardized steps you can take to maintain your entity’s compliance and uphold good-standing with your state’s Medicaid agency. 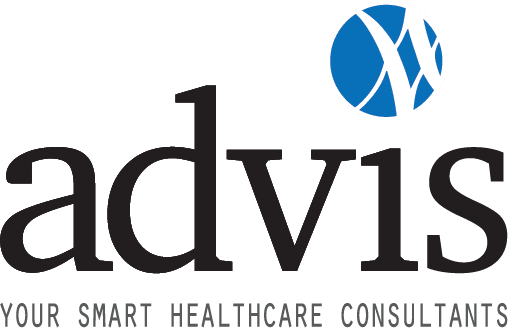 Advis’ recommendation: Review your entity’s 340B Medicaid billing procedures to ensure that you are in compliance with each state’s requirements where claims are submitted; conduct regular claim reviews to ensure such procedures are consistently followed, and regularly review each state’s requirements to ensure your procedures are up-to-date. All covered entities are required to inform HRSA, at the time of 340B enrollment, how they plan to handle 340B drugs for Medicaid patients. Covered entities must understand the capabilities of their 340B split-billing software and each state’s requirements to ensure that stated practices are followed to the letter. HRSA Registration Update: The April quarterly enrollment period offers an excellent opportunity to review your Medicaid carve-in status and Medicaid Exclusion File listings to ensure that each state Medicaid number and your applicable NPI(s) are properly listed to help avoid duplicate discounts. Not sure what your state billing department requires for 340B? The Advis Group can help you find the answers; visit our 340B information center or contact us today at 708.478.7030 or info@advis.com. Each week The Advis Group will provide go-to expert quick tips to keep your facility 340B compliant and your 340B savings optimized. The healthcare industry is anything but stagnant. Rapid change is upon us. As a healthcare professional, you know that it’s critical to keep programs like 340B flexible, agile and braced for the changes ahead. Maintaining current compliance and effective operations is Job #1. With this in mind, The Advis Group is compiling its top tips to assist covered entities in optimizing their 340B programs. We want our clients and friends not just to survive in the event of a HRSA or manufacturer audit, but to thrive and continue to strive.